“Restoration Saturdays” will include prior blog posts that are still relevant but recently lost to my own stupidity (i.e. not backing up my database). I know. I know. 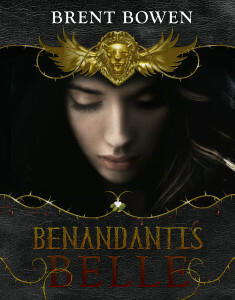 Here it is: The concept cover for my interactive novelette project, “Benandanti’s Belle.” Looks lovely, doesn’t it? The credit goes to my two graphic designer friends that I’m working with on this fun, rewarding project. I first talked about the project publicly in May 2012 when I joined my cohorts in crime from Adventures in SciFi Publishing on the AudioTim podcast. In short, our li’l project team will be creating an electronic book that integrates photography and other multimedia. The overall goal is to see whether we can use these tools to complement the story without ruining the immersive quality – something I’m told can’t be done. How do you capture the goings-on of a speculative fiction convention in a single post? You don’t. 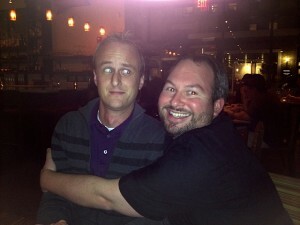 ConQuest, as always, was a fabulous time. Caught up with old friends, met new. Apparently, there was record attendance this year. With literary titans such George R.R. Martin, Patrick Rothfuss, the Nielsen Haydens and more, who would expect less. I thought the programming was spectacular this year, and that had nothing to do with me participating. I generally judge the programming by how deeply conflicted I am on what session to attend. And that happened often. Of the three panels I moderated, all had a guest of honor attached, so you know the conversation would be lively. The panels also were cool because the “Worldbuilding” and “Books on Tour” conversations had a neo-pro or newly published author slant. Patrick Rothfuss took part in those two panels, and if you’ve not heard him chat live, it’s worth the price of admission — he’s equally thoughtful and engaging. In fact, the panels were so interesting that I’m going dedicate separate blog posts to each over the next couple of weeks. 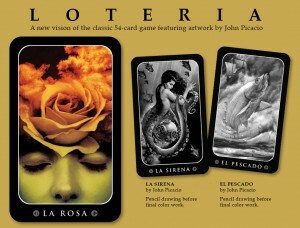 Another highlight was having John Picacio at the convention. I could listen to him talk about his artistic process all day. Even though I’d seen it before at Bubonicon, I had to see his slideshow — and I told anyone who would listen that they needed to do the same. I know. I know. I’ve been offline for several months. After jumping back on social media, several people have sent me notes telling me that they were glad to see me alive. Unfortunately, I may only be here early, but plenty of my friends are participating in some pre-ConQuest Tolkien fun. The event includes games, Tolkien trivia, readings and $200 in prizes. It’s free and open to the public. “You gotta play this game with fear and arrogance,” said Crash Davis to baseball prodigy Ebby Calvin “Nuke” LaLoosh in one of my all-time favorite movies, Bull Durham. But trust me, you can overdo it — on both counts simultaneously — too. The trick is striking the perfect balance.